The story of an impulsive gambler, itching to win big, is never a bad story. So, gambling and casinos have always been one of the best themes filmmakers base their stories on. The palm-sweating action on the poker table, hot rolling dices, rattling wheels, bars, the glitters – casinos appeal to everybody: gamblers and onlookers alike although you could try the likes of online roulettes, which have gained much popularity lately. You might not have that big dough to gamble away in Vegas, but worry not, you can still have some of the high rolling actions right on your TV screen. Below we are presenting you a list of the best movies about casinos that promise to leave your blood rushing in their high-stakes gambling showdown. So, sit back and feel the thrill of casinos in your home this weekend with these movies. Casino is a story about feuds between two mobster best friends over a gambling empire. Robert De Niro shines in his role of a low level mobster Same ‘Ace’ Rothenstien, based on the real-life figure of Frank ‘Lefty’ Rosenthal, alongside Joe Pesci as Nicky Santoro, in the lead. Sharon Stone, who is sexier than ever in the 70s’ outrageous wardrobes, portrays Ginger McKenna, a call girl. Directed by Martin Scorsese, based on a book by Nicholas Pileggi, inspired by a true story of a man who ran four casinos for the Mafia, Casino reveals the wicked side of Las Vegas obscured by its glitters. It wouldn’t be fair if this Scorsese signature didn’t make it on the list of best movies about casinos and gambling. The British secret service agent James Bond discovers that a financer of terrorist organizations is planning to raise money in poker games, so he takes to the high-stakes poker table of Casino Royale to topple the bad man’s plan. Back in 2006 when the film was premiered, film critics as well as audiences weren’t stopping anytime sooner parsing the work of Danial Craig as the new 007 with a license to kill. And the high-stakes showdowns in the movie helped set the trend of Texas Hold’em Poker in the trend town of the gambling world. But Casino Royale is more than just high-stakes gambling and Bond-style romance and spying. Arguably, it just might be the best movie in the Bond series so far. In this remake of the 70s classic The Gambler, Mark Wahlberg portrays the role of a literature professor, Jim Bennet, who also happens to be a gambling addict. Bennet finds himself owing a lot of money to the owner of a gambling ring after playing a few rounds of Blackjack at the illegal establishment. From thereon, the plot revolves arounds Jim’s attempts to find ways to pay back the gangster, while one of his students, Amy, played by Brie Larson, enlists to help him find the money. The film is a good watch, if not for anything, then for Wahlberg’s outstanding performance. 21 is a story of a group of MIT college students, trained by their professor to be experts in counting cards who take casinos in Vegas one after another for millions in winnings in the games of Blackjack. (No wonder casinos hate card counters). However, things go south for them when the casinos discover their neat scam of card counting. Directed by Robert Luketic, 21 stars big names of Hollywood such as Kevin Spacey and Kate Bosworth including Jim Sturgess, Aaron Yoo, Laurence Fishburne and others. Everybody wanted to learn to count cards after the movie was released in 2008. The story is of a pro gambler, Sydney, played by Philp Baker Hall. In his sixties, Sydney meets John, played by John C. Riley, a man down on his luck. He takes John under his wings and teaches him the tricks of the trade. John turns out to do well, until he meets Clementine, a cocktail waitress, played by Gwyneth Paltrow. The role of Sydney was specifically written for Hall. Hard Eight is the debut film of American filmmaker Paul Thomas Anderson with which he took off his journey of highbrow film making. Rounders follows a tale of a young gambler who gives up gambling but must return to the tables once again to help his dear friend get out of trouble with loan sharks. Despite the Hollywood touches, Rounders gives a realistic insight into the underground world of poker. Matt Damon who is known to be a real life big time gambler, plays the role of the young reformed gambler Mike McDermott who knows poker is not about luck, rather brains and discipline. Edward Norton plays the role of Mike’s friend, Lester ‘Worm’ Murphy. The movie is directed by John Dahl. Fear and Loathing in Las Vegas is a story of psychedelic misadventure of two friends traveling from Los Angeles to Las Vegas. Duke, a sportswriter and his lawyer, Dr. Gonzo, played by Benicio del Toro, travel to Las Vegas Bazooko Circus Casino and experiment with the loads of different kinds of drugs. Raulo Duke is one of the best roles Johnny Depp has ever done. The movie didn’t do well at the box office when it was released in 1998 but the film has since become a cult classic – all the credit goes to the wacky performances of its two lead actors. The Shangri-La casino has found a use for the unlucky Bernie Lootz, played by William H. Macy, to jinx the player who is taking the house for a fortune, with his bad luck. The in-house jinx are called ‘the coolers’. His luck changes when he meets Natalie, a cocktail waitress played by Maria Bello. Consequently, things change around the casino when the casino’s favorite cooler becomes a lucky charm. The movie’s plot moves forward as an amateur crook named Frankie, played by Scoot McNairy hired by Johnny Amato, another crook played by Vincent Caratola, along with his another incompetent friend, robs a card game run by Mafia bosses. The Mafia immediately hires Jackie Cogan, played by Brad Pitt, to hunt down those responsible for the heist. Jack Mandfred, played by Clive Owen, is an aspiring writer who takes a job of a croupier in a casino, just to make the ends meet. 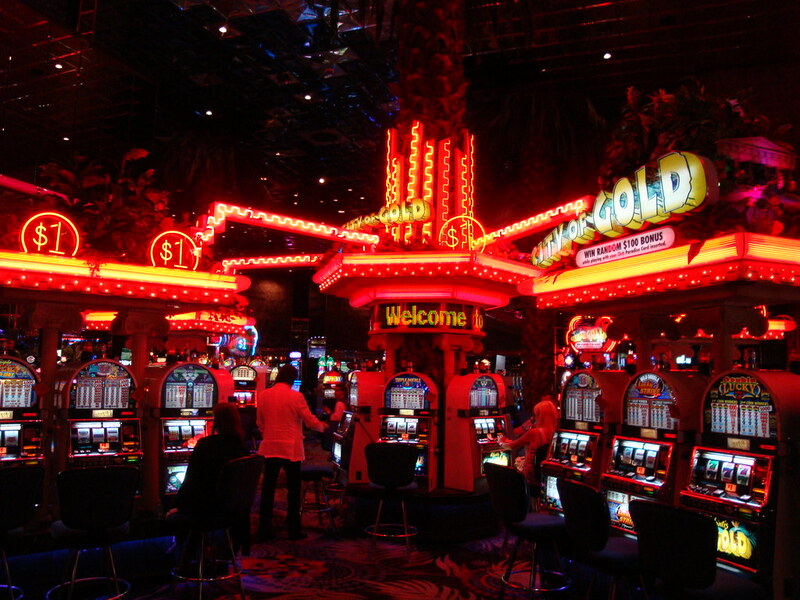 However, he gets stuck into the world of casinos, right where he finds the inspiration for the novel he wants to write. Directed by Mike Hodges, this movie reveals the darker side of the gambling world and how it takes tolls on lives of people tangled there. So casino has been a popular theme for movies throughout the years taking us into a world of gambling and showcasing the deceit, betrayal and roller-coaster of emotions for viewers. The movies should provide enough evidence for us to not waste ourselves on the dark world of gambling. So how about witnessing casinos right on the TV screen?